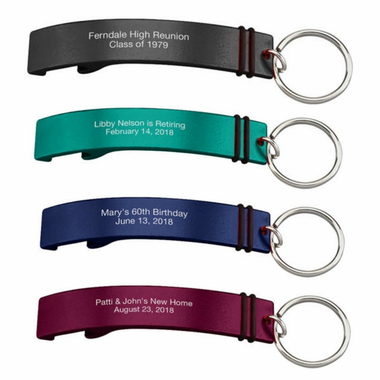 A perfect party favor for adults, this personalized bottle opener keychain will display your custom message. 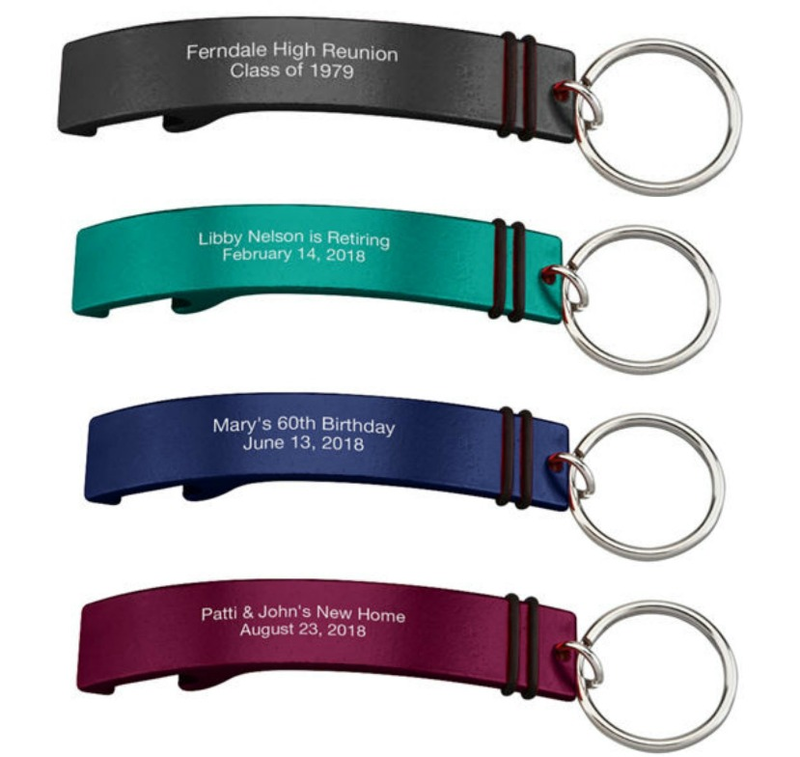 Great for a birthday, housewarming, college graduation, class reunion, or beer theme party, each opener measures 3-1/8"w x 5/8"h. It laser engraved in white with two lines of copy and has an imprint area of 1.375" w x 0.5" h.
Really happy with the way these came out. 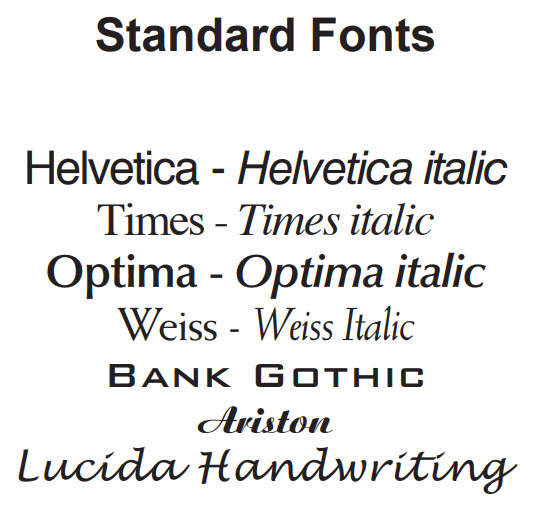 They are party favors for my Dad\'s 80th Birthday and are going to be a very nice parting gift..